Since the opening of the railroad in November 1911, the JR Hamasaka station has been a place for community building. 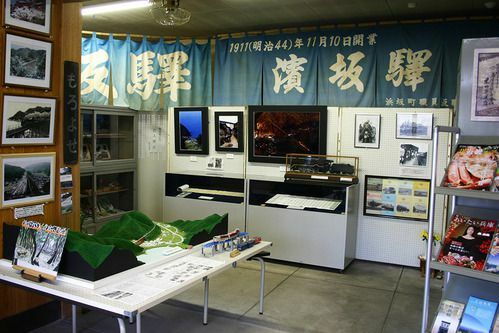 Next to the station is an often visited space, with railroad goods, pictures of Amarube bridge, and many other documents on display. You can learn about the history of Japan's railroads and see maps, pictures, machines, tickets, plates, models and other train paraphernalia. Visit Shinonsen >Things to Do>Sightseeing	>Railroad goods hall: "Tetsuko no heya"